Finally after 2 months I am writing about this trip. Better late than never as they say. 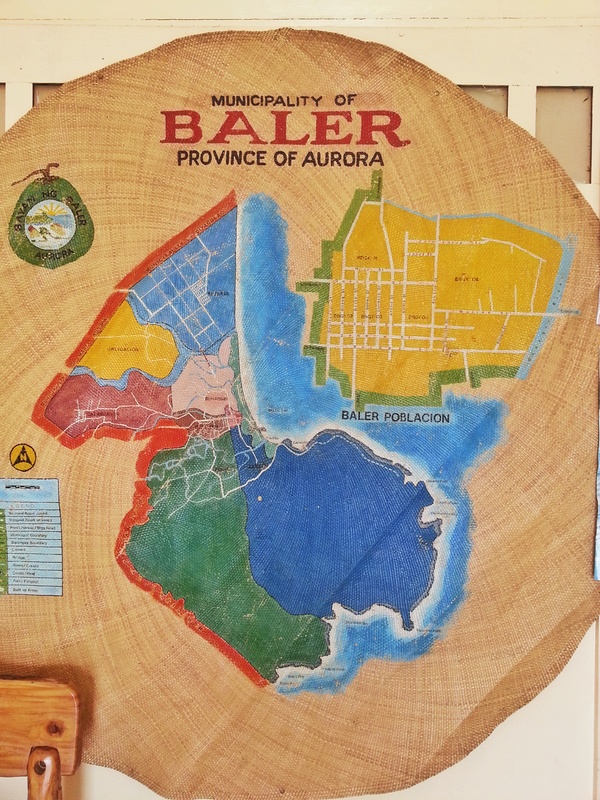 So what’s in Baler? If you google it, first thing you will notice are pictures of its coastline, big waves and people surfing. I am not really a surfer but I’ve been dying to try it out. 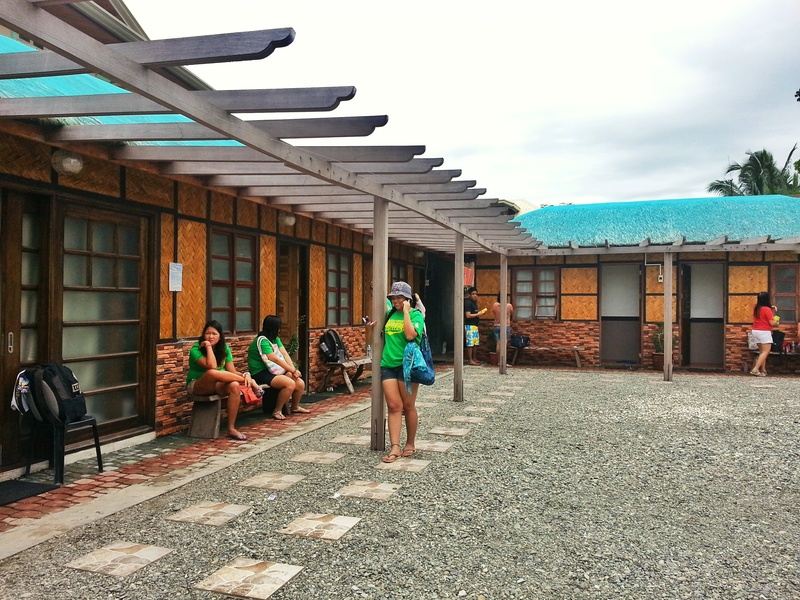 With Janine of WowTrippers’ invitation we decided to join their trip to Baler. I wet home early coming from work to make sure I make it to our meet-up time and not mess up the planned itinerary of the trip. It was our first time to be with the group again after more than a year since the last time I joined them. Nothing much has changed. Still the same cool people, full of energy and sense of humor. 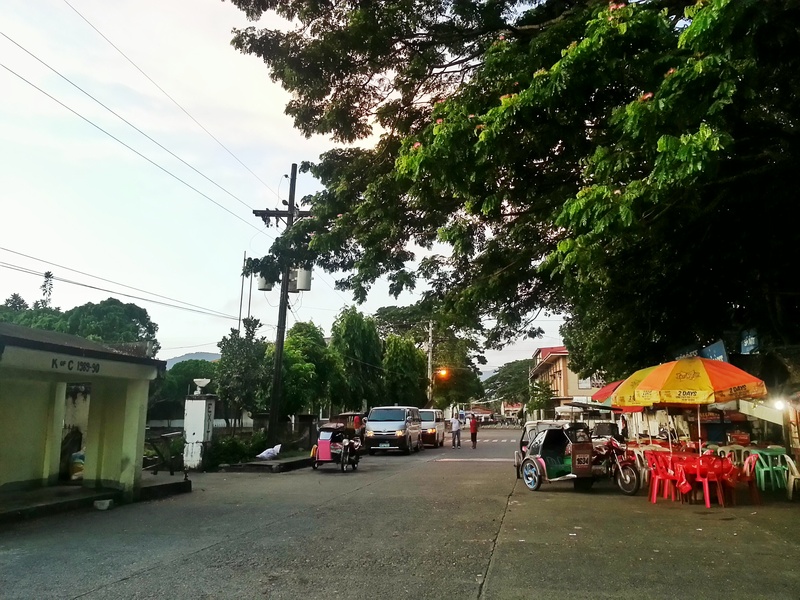 We left at around 1230am and arrived in Baler just after sunrise where we had breakfast at the local food stalls near the museum and in front of the abandoned hospital. Right after breakfast, we went straight to Diguisit Beach featuring beautiful rock formations. It was a picture perfect scene! Clear blue sky, clear view of the vast ocean. Wow! Still tired after a more than 5 hour trip to get here we stayed here and rested for around 2 hours. 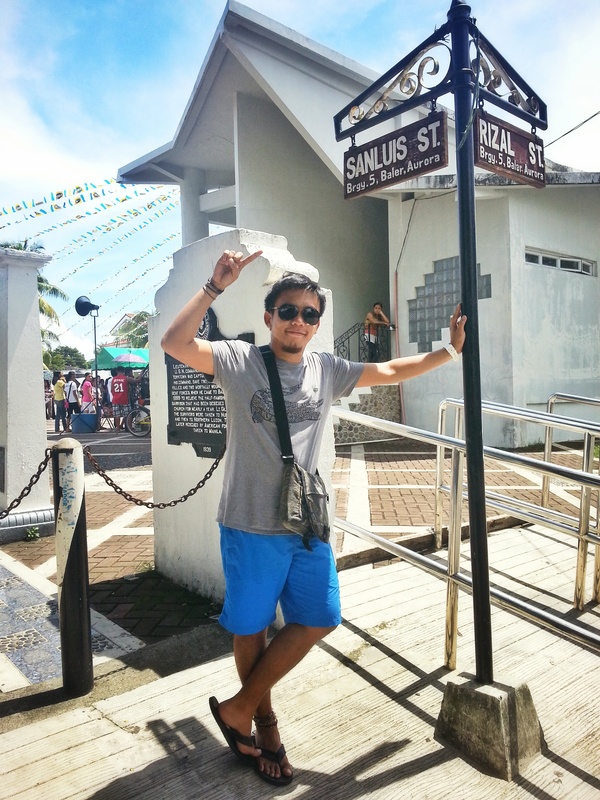 Our next stop was Ermita Hill. Ermita Hill offers vast view of the Pacific Ocean, Sabang Beach and Baler Bay. This was once a witness to a devastating tsunami. It was believed that people climbed up this hill to survive. 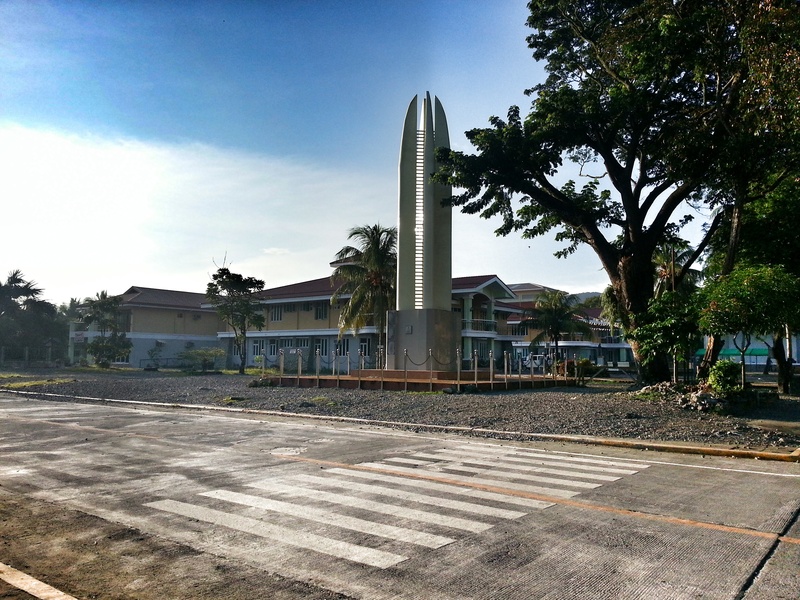 A monument was built to mark this event in Baler History. View Decks, picnic areas and Gazebos are all over where families and friends can stay while enjoying the scenic view of the ocean. If one decides to climb all the way up, you can see a big white cross. It was time to go back in the town are and see the Aurora House and church. The house was well maintained featuring old furnitures, antiques, paintings and the Manuel L Quezon Presidential Car. Yes you can go inside and have you picture taken. To get to the church just walk across the road. Just few meters from our last stop, we went to Museo De Baler. 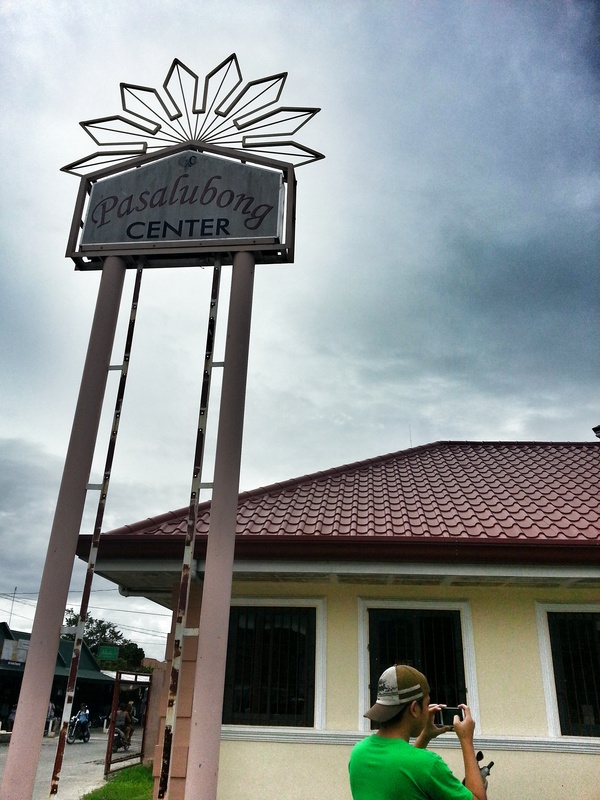 The museo showcases old artifacts, paintings and history about Baler. No entrance fee here however cash donations are accepted. It was time for Lunch and so the group decided to have it at Gerry Shan’s Place. 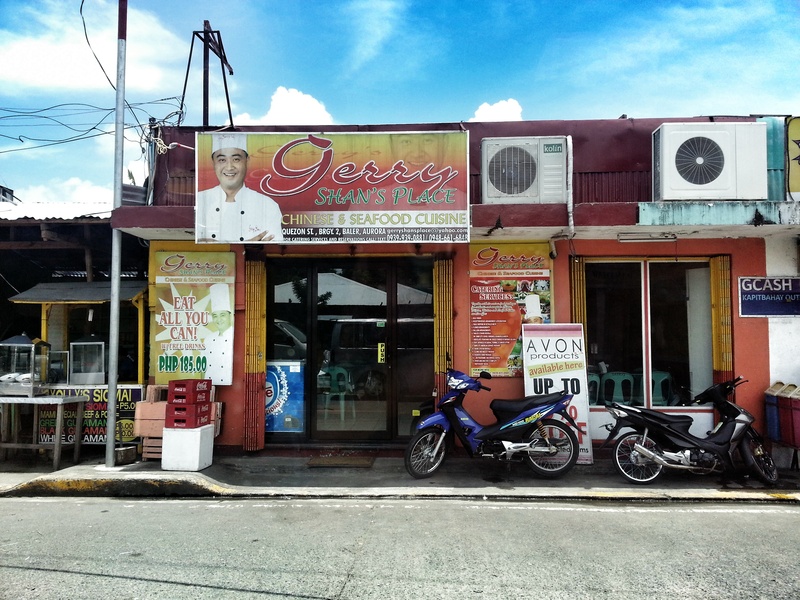 Buffet here only costs 185 pesos and that includes unlimited iced tea. Pretty good deal! 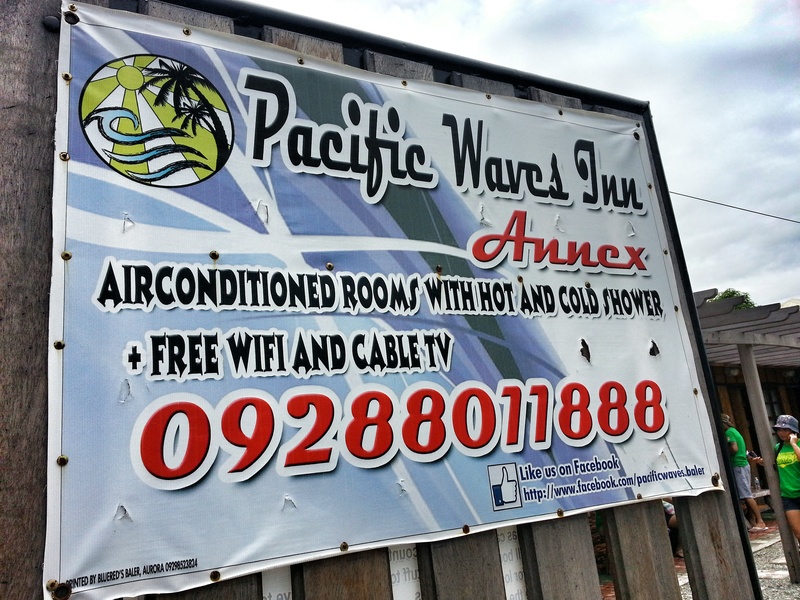 After lunch, we checked in at Pacific Waves Inn. One room can fit around 4 people. They have to locations, one near the beach and one near Iglesia Ni Cristo. It was surfing time in the afternoon but we wanted to recharge a bit after check-in so instead of hitting the beach, we took a nap first only to wake up and realise they’re all back and done surfing. Haha! At around 12am my girlfriend and I decided to call it a day so we can catch the sunrise. Wake up sleepyheads! It was past 6 when we woke up but we’re not lucky enough as it was a cloudy morning with no luck of a beautiful sunrise. We just walked along the shore and played in the sands. When we arrived back in the house, breakfast was ready. We prepped up shortly after to get to our next destination. The Mother Falls. It took us roughly 30 minutes to get there via Van and another 15-20 minutes river trekking to get to the falls. The water was very cold and refreshing. They don’t allow bringing of food in the area so better leave it. It was a magnificent view and the water is very clear. Dare to take a dip into its cold water to appreciate it even more. Too bad we don’t have a waterproof camera to show but I think pictures below would be enough to show why I love this place. After more than an hour, it was time to head back to the house to tidy up and check-out. We had lunch again at Gerry Shan’s Place! After lunch, we dropped by at the Pasalubong Center near the Terminal. After buying some keepsakes, we went to our last stop here, Balete Tree. It was huge! The rest of the group decided to go up the tree. Not ideal for those with fear of heights. Haha! I wanted to go up but I was discouraged to do it. Not sure why. The trip was a success with many reason to come back. Yes! I still have not surfed! Still need to climb the Balete Tree! I want to see Dicasalarin Cove and other falls near the area. Definitely Baler is more than just a surfing spot, it’s a haven for nature lovers and trekkers. You also get to know a bit of their history and get to experience the warmth of the people around. A place worth visiting. Note: This trip happened last August 3 & 4 2013. Hi guys! just a suggestion for transient house/rooms in baler aurora where you, your family and/or friends can stay near sabang beach. lots of rooms! from 350 to 500php per pax for 2 days and 1 night stay. air conditioned rooms. WI-FI , dining area , cable t.v, videoke , kitchen , grill area , very spacious and safe parking area , etc .. we can accommodate up to 120pax.